Thailand’s army detained veteran journalist and Junta critic Pravit Rojanapruk last Sunday for allegedly posting information online that “disturbed peace and order” in the country. Pravit is a senior reporter for The Nation, a leading English language daily in Thailand. He is also a known critic of the National Council for Peace and Order (NCPO), the civilian government established by the army which took power through a coup in May 2014. This is the second time that Pravit has been held incommunicado by the army. With his first “invitation” to visit an army camp, in June 2014, he spent seven days in detention. Right now, he is being processed by security officers. How long it’s going to take depends on the result of the interrogation and his cooperation. The army’s term for this process is “attitude adjustment” which aims to persuade the accused to understand the role the army plays in preserving stability in society. In another news report, the army insisted that Pravit is being detained not as a journalist but as an individual who posted misleading information about the government on his Facebook page. A coalition of local media associations publicly condemned the law, calling it a “greater threat to press freedom and freedom of expression” than Martial Law, which was imposed from May 2014 – April 2015. There is no justification whatsoever for his detention. If the military believes he has done something wrong, there are normal legal channels to deal with it. Stop summoning a person to report themselves and stop detaining a person simply because of their political criticisms or their criticisms of the performance of the government. It is an act of persecution against political dissents and an unlawful act indeed. 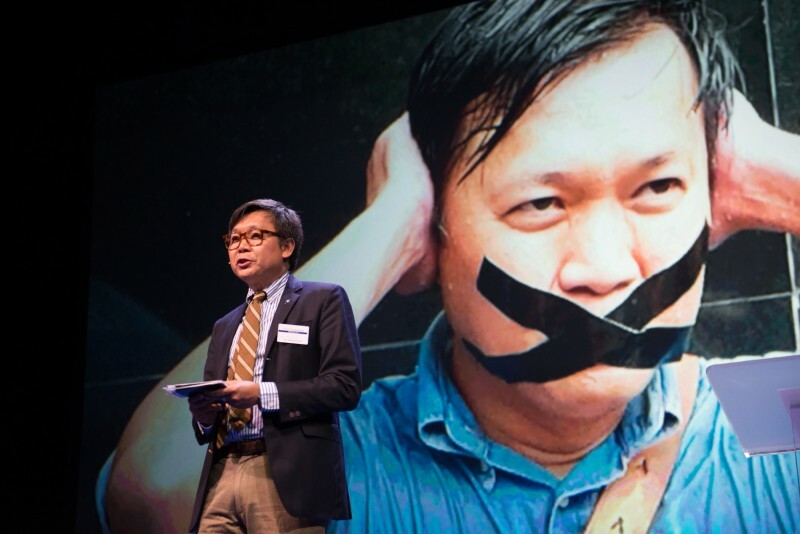 As a journalist, Pravit Rojanaphruk, who is being detained, must have examined and criticised the work of the government. Keeping him in detention without any formal charge or clarification was against the principles of freedom of the press and the people's basic rights according to the Article 4 of the Interim Constitution. The detention of journalists or anyone else for the peaceful expression of their views violates Thailand's obligations under international human rights law. We urge the NCPO to release Pravit Rojanapruk immediately. His place of detention should also be immediately made public. If the National Council for Peace and Order thinks he has committed a crime, it must refer the matter to the judicial authorities, who will announce what he is charged with and not hold him incommunicado without a valid reason. This is the behaviour of a dictatorship that is trying to intimidate independent journalists and encourage media self-censorship.